I was reading the Sunday newspapers last weekend over a cup of coffee, when I spotted an article in the financial pages. 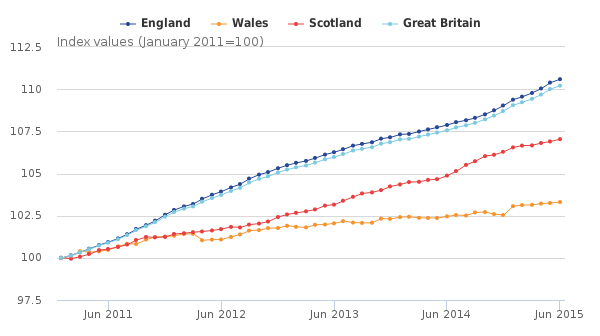 It was announced UK inflation had increased to its highest level in a year. Inflation, as calculated by the Government’s Consumer Prices Index, rose by 0.3% over the last 12 months. The report said it had risen to the those ‘heady’ levels by smaller falls in supermarket and petrol prices than a year ago. If you recall, in early 2015, we had deflation where prices were dropping! So what does this mean for the Nuneaton property market … especially the tenants? Back in November, the Office of National Statistics stated average wages only rose by 1.8% year on year, so when adjusted for inflation, Nuneaton people are 1.5% better off – in ‘real’ terms. Great news for homeowners, as their mortgage rates are at their lowest ever levels and their spending power is increasing, but the news is not so good for tenants. The average rent that Nuneaton tenants have to pay for their private rental properties in Nuneaton – not housing association or council tenants – rose by 1.6% throughout 2015, eating into most of the growth. 2015 wasn’t a one off either. In 2014, rents in Nuneaton rose by 1.1% and salaries only rose by only 0.2%. However, it’s not all bad news for Nuneaton tenants, because in 2013 rents rose by 1.0%, and salaries rose by 2.2%. As a Buy to Let investor, I think it’s important to note that Nuneaton is a hot spot for property investing and property prices in Nuneaton are predicted to rise due to the commuting links from London bringing more professional investors into the town. 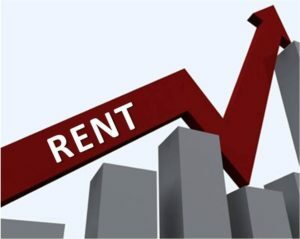 This will also mean the potential for rents to increase also, so I honestly believe now is the time to buy buy buy! It must also be noted that the private rents from Nuneaton tenants that have had to pay for property since 2005 are only 15.0% higher, not even keeping up with inflation, which over the same time frame, rose at 27.8%. Salaries were only 18.7% higher over the same time period. A lot of figures to digest, I know, but it shows a very important trend. I obviously speak to lots and lots of tenants who rent and more and more of them tell me that it is their preference to rent. They feel that the days are gone when owning your own property was a guaranteed path to wealth, affluence and prosperity. I know I keep going on about Europe, but some of the highest levels of home ownership are in Romania at 96.1%, Hungary at 88.2% and Latvia at 80.9% – none of them European economic dynamos – and even West European countries like Spain at 78.8% and Greece at 74%, and we all know that both of those countries are on their knees, riddled with national debt and massive youth unemployment. At the other end of the scale, whilst we in the UK stand at 64.8% homeownership, in Europe’s powerhouses, only 52.5% of Germans own a home and only 44.1% of Swiss people are homeowners. Looks like eating chocolate, sauerkraut, renting and good economic performance go hand in hand! Yet, joking aside, home ownership has not always been the rule in the UK. In 1918, only 23% of people were homeowners, with no council housing, meaning in fact, 77% were tenants. Tenants have choice, flexibility to move, they don’t have massive bills when the boiler blows up! 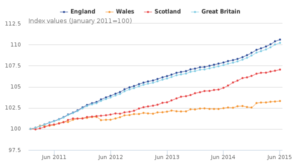 Nuneaton rents are growing, but not as much as incomes. To buy or not to buy is an enormously difficult decision. For while buying a Nuneaton home is an objective for the majority of the 20 to 30 year olds, it might not leave them better off in the long run and it isn’t necessarily the best option for everyone. That is why, demand for renting is only going in one direction – upwards. If you would like to speak to us more about the Nuneaton property market, please feel free to call us on 02477 674545. How do Nuneaton properties compare to those in Bedworth? Pingback: is credit repair legal in Mississippi?